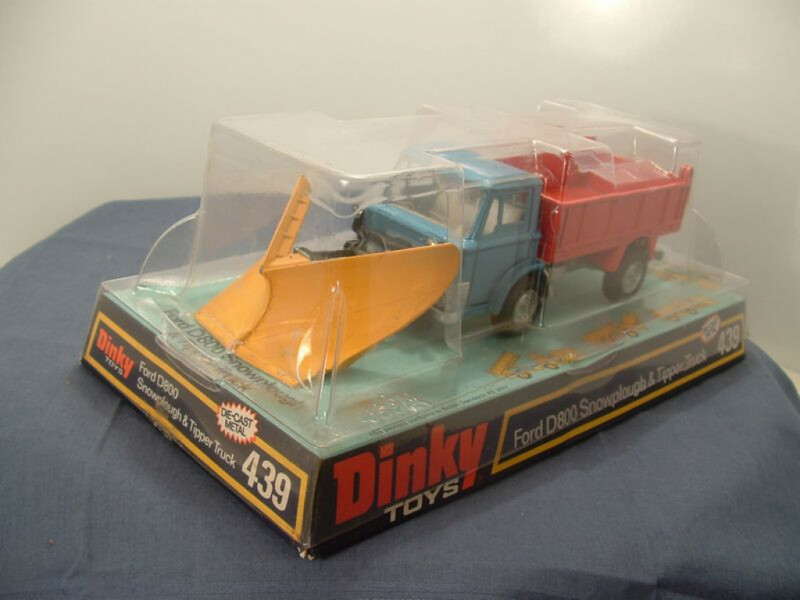 This model is the Dinky 439-G-2 Ford D800 Snowplough and Tipper Truck in metallic dark blue with orange tipper and yellow snowplough blade, all mounted on a silver painted chassis. 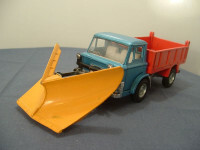 The model has opening doors on the cab, a working tipper body and an adjustable, yellow snowplough blade. The interior is white plastic with a right hand drive black plastic steering wheel. The glazing is clear. All wheels are of a shaped type - solid one piece metal hubs with a black "rubber" tyre. 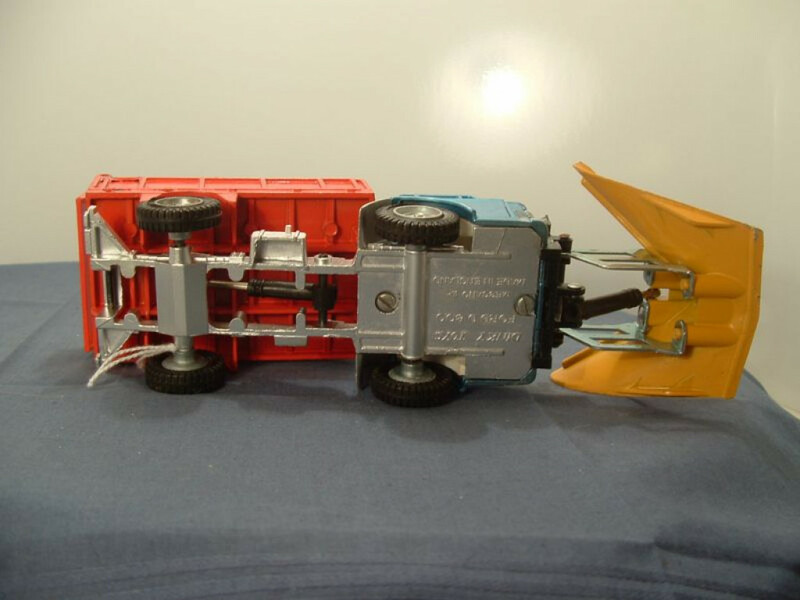 The base plate/chassis is silver painted metal and is marked with DINKY TOYS Ford D 800 at the top (on the cab floor in front of the front axle) and "MECCANO LTD MADE IN ENGLAND" at the bottom. The model is not numbered on the baseplate or tipper body. The base plate is held in place with two self tapping screws at the front under the cab. 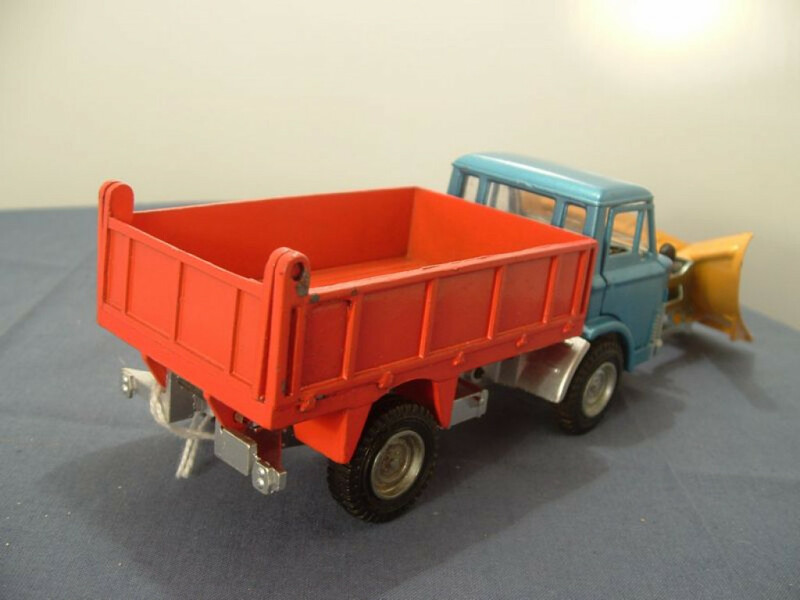 The tipper body is fixed with a small pin that fits into the chassis at the rear. This model was issued between 1971 and 1977.